Tired of walking your dog down the same block? Here are some cool spots to go with your loyal companion for a good hike, a different view of the city, and maybe even swim. These places are our fave spots so check them out. Enjoy! This small, but well kept space is run by local volunteers in the area. It used to be a members-only spot, but it recently opened up to the public. It has a small gated area with water fountains. It also received a cool new painting from muralist Septerhed. 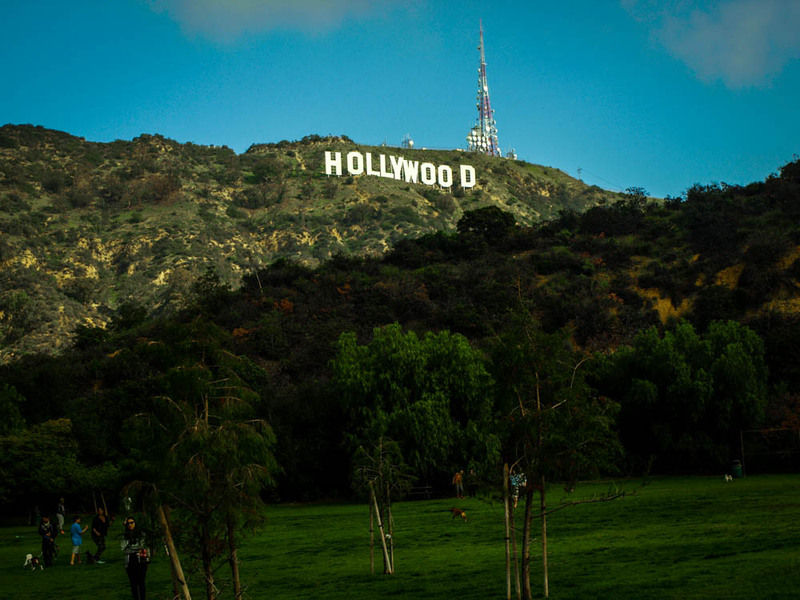 This park offers it’s viewers the scenic Hollywood sign. It’s not an off-the-leash park and the first offense can cost you up to $100. You can even come enjoy some fun family time here. The park offers a childrens play area, barbecue pits, picnic tables, and of course the view to Lake Hollywood. This fun space is located between Roycroft and Granada Ave. in the Belmont Shore neighborhood of Long Beach. It’s an off-the-leash space which means your pooch is free to splash through the waves. It has bathrooms and showers; all of the essentials for a fun trip to the beach if you’re trying to enjoy yourself too. Try it and have some fun in the sun! Take a hike, enjoy the view, and maybe meet a celebrity or too. This hot spot is known to have some famous visitors. It’s also known to be visited by A-list yogis and boot campers. Located in the Valley, this doggie park has plenty open green space to run and play. It also has plenty of shade and provides water fountains for your tired pup. Let your dog roam free while you enjoy yourself; read a book, take a nap, or play catch.